At VL Dental, our team is dedicated to helping patients receive the dentistry services they need within their schedules and budgets. 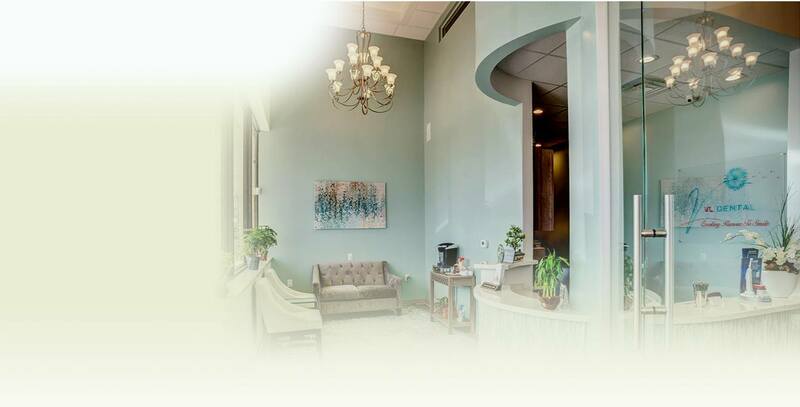 Our Richmond dentist and dentistry team members offer a variety of treatment options, including preventive, restorative, and cosmetic dentistry options as well as advanced dental implant supported tooth replacement plans. 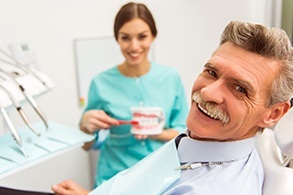 Before we begin any dental treatment, we will carefully walk you through every step of the process, including a plan for you to pay for the cost of treatment within your budget. For complex services like dental implants, budgeting for treatment costs is even more important. 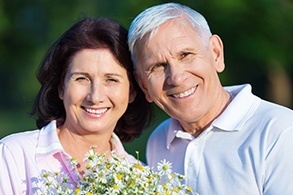 If you want to learn more about pricing for your dental implant tooth replacement plan, call to schedule a consultation appointment with us today. 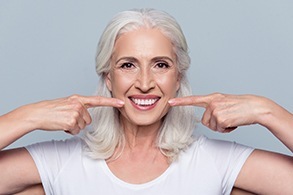 During your consultation with the VL Dental team, we will walk you through pricing for every step of the dental implant tooth replacement process to help you recreate a healthy, flawless smile without blowing your budget. The majority of the price of your dental implant tooth replacement plan stems from the cost of the implants and their surgical placement. The price of dental implants varies dramatically depending on the material use, size, type of implant, and the manufacturer who produces the implants. Our team uses dental implants custom crafted from a number of materials, including titanium and zirconia. A single dental implant post can cost between $500 and $2,500 (more in some cases). 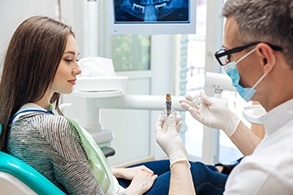 While dental insurance plans do not typically offer coverage for dental implants and their surgical placement, other aspects of your treatment plan like tooth extractions, tissue grafts, and replacement teeth will receive some coverage. Our knowledgeable dentistry team members worth with insurers on a regular basis, and we will make the most of your available benefits. We are also happy to partner with third party financiers to offer low and no interest payment plans for qualified patients. You can apply for preapproval through these third party providers online, or one of our team members will be happy to help you with the application process, during your consultation appointment.